Star Trek: Boldly Go, which begins this October, is set after the events of Star Trek Beyond. Its third issue, revealed in IDW's December solicitations today, is going to see the crew of the Enterprise, alongside the USS Endeavour, come face to face with a threat unlike anything they have ever encountered... even if readers will be more than familiar with it. 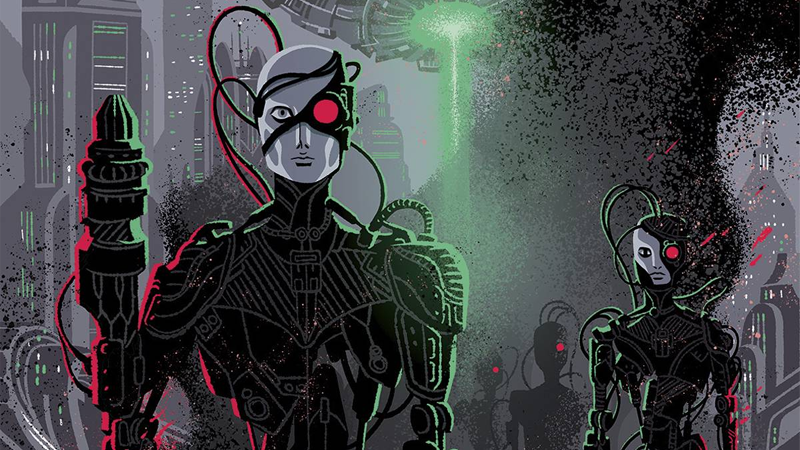 This is far from the first time Star Trek has played with bringing the Borg into eras before their introduction all the way back in TNG's earliest episodes, but it will be cool to see how the collective is making its way into the Kelvin timeline — and how Kirk and the team will stop them. 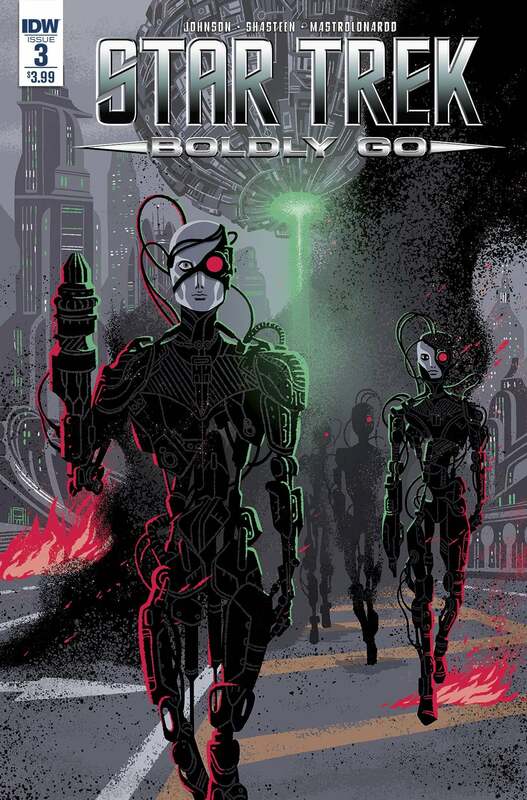 Star Trek: Boldly Go #3 is out this December. If they do, can they keep that *awful* artwork? I think it's interesting how the Borg have been added to the extended Star Trek universe, like being the machine world that V'Ger came from and also being responsible for corrupting the big whale cigar ship in Voyage Home. So yeah, they were kinda around in the original timeline too. The Kelvin timeline stuff is okay, but the whole thing is non-canon in my head. Main continuity or bust, Star Trek has a long, rich history and never needed a reboot. Especially not a reboot into a soulless action franchise.